Brassicaceae; phylogeny; ITS; divergence time; biogeography; Alyssum. The genus Alyssum consists of about 195 species native to Europe, Asia and northern Africa. All species were assigned to six sections. Previous molecular phylogeny studies indicate that Alyssum is polyphyletic. However, the divergence time and dispersal of the genus are not well studied. 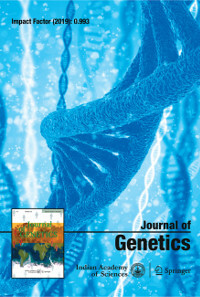 In this study, the phylogenetic relationships within the genus Alyssum were studied with nrDNA ITS sequences obtained from five sections. The divergence time was estimated by fossil calibration and the biogeography was examined by spread analysis. The phylogeny indicated two main lineages: lineage 1 includes the section of Alyssum, Gamosepalum and Psilonema; lineage 2 includes the section of Odontarrhena, Meniocus and Clypeola. The phylogenetic relationship was not congruent with the previous sectional classifications. The age of Alyssum was dated to the upper Miocene. Molecular data suggested the diversification of Alyssum in Mediterranean areas and wide-ranging distribution such as North Africa, eastward into Central Asia and immigration into North America. Climatic aridification and arid/semiarid areas established in the Pliocene/Pleistocene could have provided favourable conditions for the migration and diversification of Alyssum.